Monthly user count on Twitter has dropped for good three quarters in a row, to address this issue, Twitter decided to stop publicizing the numbers of monthly users. It was announced in Twitter's latest earnings released that the change will begin after the next quarter, the company also disclosed that it had lost an added 5 million monthly users in the last few months of 2018. Making it a total of 321 million monthly users lost from the 326 million the previous quarter. With 321 million users being the lowest user figure since years. Keeping private the monthly user increase or decrease prevents Twitter from being compared to other social networks, some of which are growing way faster monthly user count. Facebook, for example, added a total 49 million users last quarter. In the place of monthly users count, Twitter will now announce how many daily active users it has — at least this figure is slightly rosier. 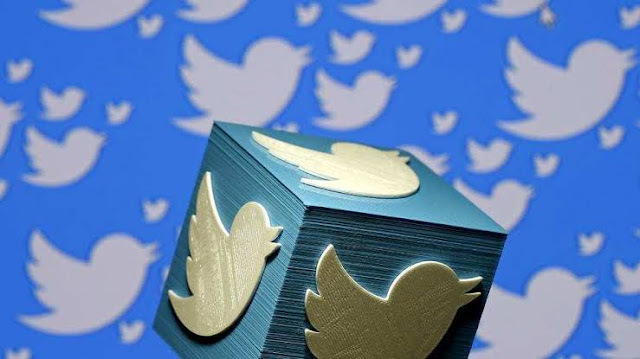 Now Twitter has 126 million active daily users, topping the 115 million one year ago. Even though other companies disclose their daily ative user count, Twitter has put a little twist on its own metric: it refers to them as mDAUs - monetizable daily active users. This mDAU only counts people who use Twitter’s website or its app to access the service daily. Twitter indicated that other companies do not well distinguish between daily users who can be monitized from those who cannot be monetized. This week, Snapchat reported having 186 million daily users. Instagram more than 500 million daily users over a year ago. Though the daily user figure does look better for Twitter compared to its monthly review, it isn’t exactly a sign of swift success as It is equally smaller than competitors’ user counts per day, and its growth rate has stalled in three out of the last four quarters. Twitter has said that its goal for this year is to “take a more proactive approach to reducing abuse” on their site. They also plan to keep improving its sign up process so that it is more difficult for people — presumably people who has earlier been banned — to sign up again.